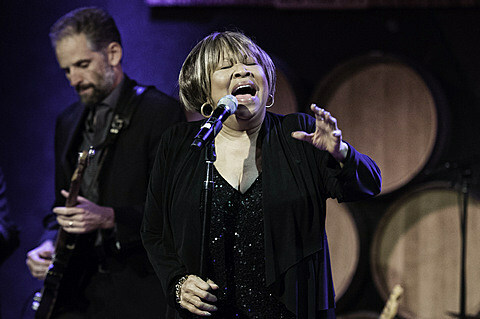 Legendary Chicago R&B/soul singer Mavis Staples turned 75 this year and in honor of that she’ll be celebrated in her hometown with the concert “I’ll Take You There: Celebrating 75 Years of Mavis Staples” on November 19 at Auditorium Theatre. Guests include Arcade Fire’s Win Butler and Régine Chassagne, Jeff & Spencer Tweedy, Glen Hansard, Gregg Allmann, Emmylou Harris, Taj Mahal, Bonnie Raitt, Patty Griffin, Grace Potter, Joan Osborn and more, and Mavis herself will perform with the guests throughout the night. Tickets are on sale now.